Use of mirrored furniture is a culture replicated all around the world. 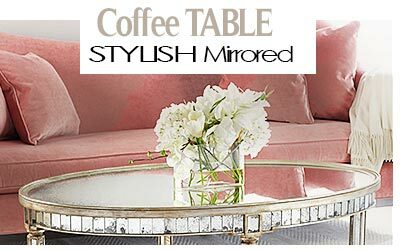 That you can add mirrored pieces to a room regardless of the style theme and it won't look an inch out of place makes it a good decor item for all seasons. You're spoiled for choice when it comes to which mirrored furniture to buy. There is just too much variety for you to go round in one cycle, and it's advisable to search the different varieties widely (preferably on the Internet as it's faster) before stepping into a store for the actual purchase. You can place mirrored furniture in just about any room. The living room, family room, hallway, bedroom, bathroom, dining room and kitchen are all good places to use mirrored furniture. An entertainment unit with a mirrored front is an easy way to incorporate the mirror culture in the living room. The same goes for a glass-top coffee table. Adding glass doors to your bookcase is another way to incorporate mirrors in your living room if none exists. Use clear glass to show off the books behind the glass. Or use opaque glass to add mystery to the layout. Pull open the doors anytime you want to display your book collection and close them when you want the mirrored doors to become the focal point. 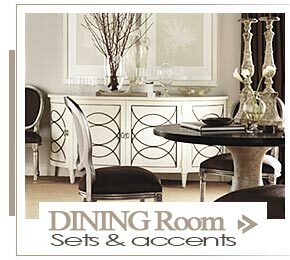 In the dining room, have mirrored frames forming the doors of the side table. Display cabinets placed in any part of the house present another opportunity to showcase mirrors in style. In the kitchen, mirrored cabinets are a great way to add style to the food prep center. If you're getting a bespoke kitchen island, inquire about having part of the island mirrored in a design you can choose. 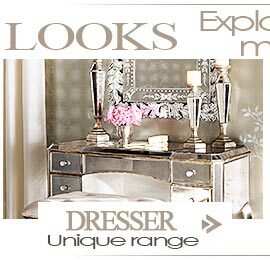 Dressing tables and wardrobes with mirrors are a staple in many bedrooms. 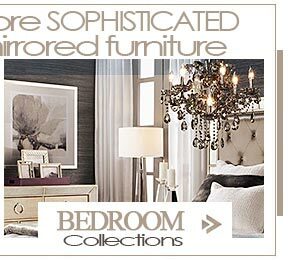 These present the best chance to experiment with mirrored furniture in the bedroom. In many dresser designs, the mirrors are placed in different angles to allow you check your grooming from different angles. 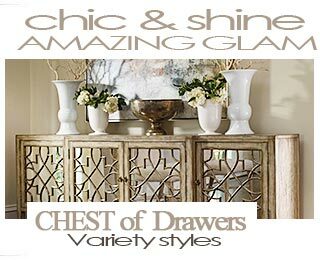 Pick a dresser with both full length mirrors and smaller mirrors for greater stylistic impact. Mirrored bathroom cabinets bring the glamor of the mirror to the bathroom. You can fix mirrors on your bathroom vanities as well to vary the look. 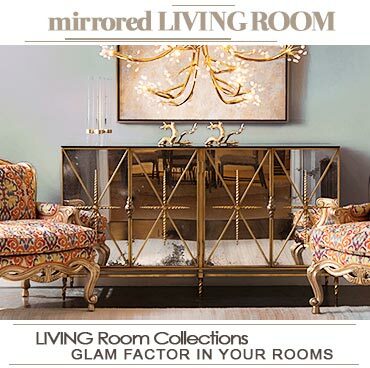 The best part about using mirrored furniture is that the mirrors can be functional or purely ornamental. On furniture like bathroom cabinets and bedroom dressers, the mirrors definitely have to be functional. But in most other furniture, they can combine aesthetic and practical functions quite well. In furniture where the mirror is designed to aid in tasks like grooming or shaving, the design and shape of the mirror can take the furniture from bland to top-of-the-line fabulous. An intricate mirror frame will make your mirrored furniture stand out all the more. 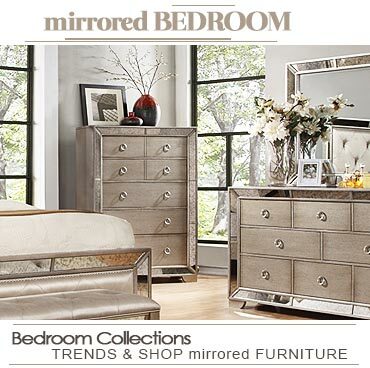 Try out a new look with mirrored furniture. 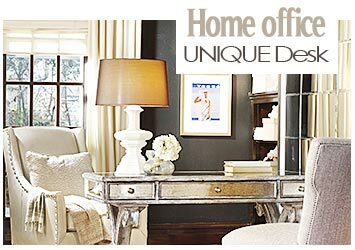 They are a posh way to add style to any space and can be used in traditional or modern design themes as well as those in between. Place them in your bedroom, bathroom, living room, family room, TV room, dining room or kitchen.